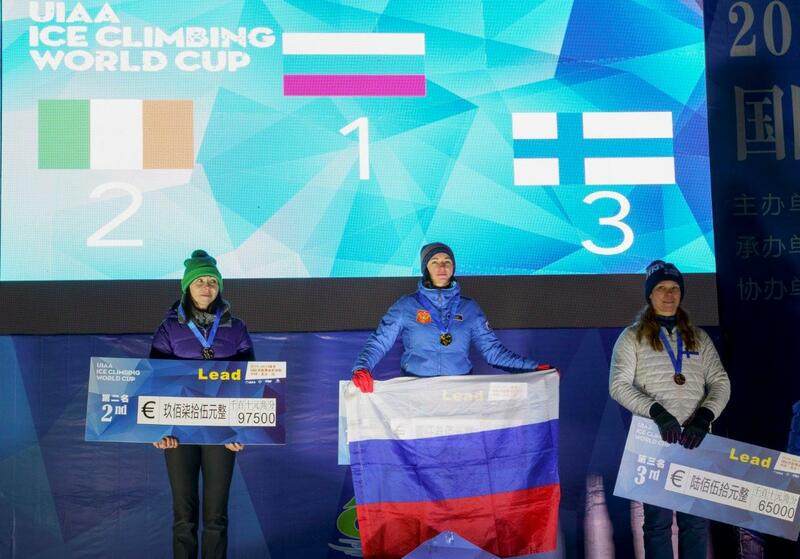 Irish climber Eimir Mc Swiggan took home a silver medal in the second round of the UIAA Ice Climbing World Tour in Beijing, China on Sunday. The Co Tyrone native was the first of the finalists to tackle the epic challenge set before the competitors. Her initial ascent of the vertical wall was calculated and steady. But, once she established a solid base, Eimir changed her pace and style to more fluid, quick and powerful moves. She soon had set the bar extremely high for the following seven finalists, only being surpassed by Russia’s Maria Tolokonia. At last week’s UIAA World Cup event in Cheongsong, South Korea, Eimir faced a slight set back after slipping on the wall, sending her back to eighth place in the finals. But, she came back with a vengeance in Beijing, setting a new personal record for herself. Eimir has been living and training in South Korea since 2010, dedicating her athletic life to ice climbing. She is set to compete in the next round of the UIAA Ice Climbing World Cup taking place in Saas-Fee, Switzerland next weekend, 24-26 January 2019.